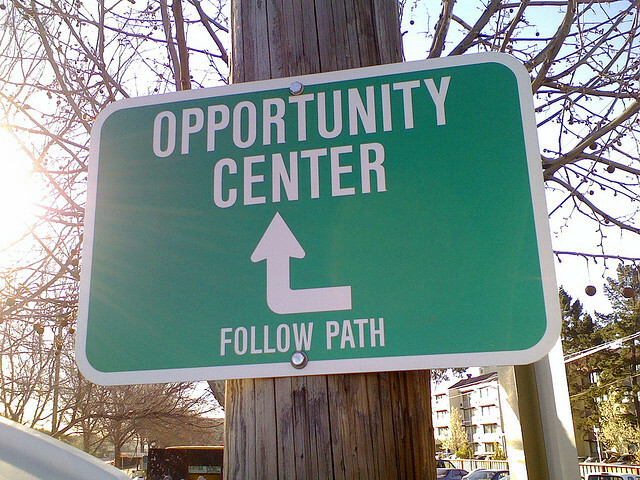 Do you feel stuck on the wrong path in life because of a lost opportunity? I basically think the universe knows everything, including what we want, so life takes us where we need to be, even if we think certain choices we make are good for us, the universe proves us otherwise, or remembers what we initially set forth, so it follows the agenda. Also, you need to be willing to stick with something and see it through in order to achieve success. It tortures you if it is really an authentic desire. If not, you did not really want it. The thing that has bothered me most has been regretting an opportunity I did not take because a gap has been left there, since I did not do it. Even if the list of pros is longer than cons for things I did instead, I still do not know how it would have been and I think I would have been better off for doing it. How can we calm these crazy thoughts that tear up our heart at times? I know life has abundant opportunities, so it does not matter. I also have another question about competition. I like asking LOA teachers and gurus about this one, mainly to confirm my inkling that it really does not matter how competitive people say things are and how you can’t get what you want so you have to settle for something else. It is an illusion created by the masses who see something and do not believe it and try to discourage you from doing something. Well we know how that goes, right? What is your take on this? I think it is the universal forces that rule. 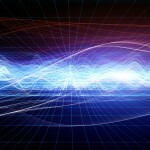 I love talking about this stuff because my vibration rises as I do, so I ask lots of questions! My take on this is that Universe always gives us what we are in vibrational alignment with, regardless of whether we “want” it or not. The Universe reads the energy that we are sending out into it, and it’s what matches this energy signature that gets manifested into our lives. The Universe can, will and does grant us everything that we ask for. Everything. It does not make any judgement calls about whether what we ask for is “good” for us or not, it just gives it to us, whether that desire is conscious or unconscious. A lost opportunity is a choice that we have made and not the result of the Universe deciding it wasn’t the right thing for us and thus preventing us from having it. The Universe does not make judgment calls on our desires. It gives us exactly what we ask for, every time. In situations where we regret a lost opportunity, even though there are all sorts of logical reasons why we didn’t go for it, it generally means that the real reason we didn’t jump on the opportunity in the first place was because there were a lot of people in our lives telling us that we’d be crazy to do it. Or that little inner critic inside of us (we all have one) was telling us the same thing, giving us all the reasons why it couldn’t/shouldn’t be done. We didn’t follow our hearts because we let the outside voices override our inner guidance. But our heart wanted it, so very much. And it still does. And, yes, it can still have it. 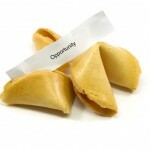 There are always new opportunities coming our way, but we have to be open enough to see them and accept them. There are always new opportunities coming our way, but sometimes we are so stuck on a lost opportunity that we are unable to see the new ones unfolding before us. 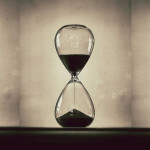 What often happens, however, is that, in our regret, we’re still so stuck on the “lost opportunity” and so focused on and grieving (because it is a type of grief) over this loss that we aren’t able to let ourselves see any other opportunities, even though it is never too late to do what we want to do. For example, if your dream was to become a professional dancer and you didn’t go for it when you were young it may well be too late to become a professional in your 30s, in the sense of being able to dance with a national ballet company or working as a pro on Dancing With the Stars or something; however, it is never too late to dance. You could find amateur performance groups in your city and dance on stage with them, you could volunteer to teach after school classes for kids, you could run a senior’s dance fitness class… if dance is in your heart, there are any number of ways that you could live your dream of being a dancer. And if dance is in your heart, then you must dance or you will never be happy. This is why the missed opportunity gnaws at us so much… if we are not doing what we love, in some way, shape or form then there is a part of us that remains empty. And in order to be open to all the ways in which our dreams could still manifest, we need to lose the attachment to how it would have happened if we’d taken the original opportunity. 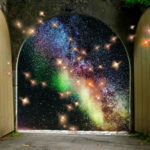 By insisting that it has to be that way or no way, we are limiting the Universe’s ability to bring us what we so desperately want because at the same time that we want it, our stronger vibration is that we don’t really believe that we can have it anymore. A lost opportunity can always be “found” again, if we remain open to new directions and don’t mess with the “hows” of how it’s going to happen. The key is to lose our attachment to how it would have happened if we’d taken the lost opportunity when it happened. Ah, the competition question. Yes, the belief that the competition is fierce and you either have to have an incredible amount of luck, or some big shot in the industry (whichever one it is that you’re interested in) pulling favours for you is rather persistent, isn’t it? It is such a pervasive belief in Western culture that we are all affected by it to one extent or another. The thing is, it makes no sense as far as Law of Attraction goes. There’s a great quote from Confucius that says: “Choose a job you love and you will never have to work a day in your life”, which, to me, sums this all up nicely. If you follow a path that you love, and can stay true to yourself and your belief in your ability to do it, then, according to Law of Attraction, it must work out for you. This does not mean that there won’t be elements of your job that you don’t like, because, let’s face it, pretty much every job has elements that you like less than others. But if you have a passion for what you’re doing, it will energize you and motivate you to do everything you need to do to make your dream come true. And if you believe that it is possible, you will be successful because you won’t stop until you get there. You will probably be working harder than you have ever worked in your life, but it won’t seem like work! More importantly, it allows you to live your life with a sense of purpose and joy that you cannot find by “settling” for something. When you are passionate about your work, you work harder than you’ve ever worked before… but it doesn’t seem like work. Now, this does not mean that you should go out and quit your job and risk your ability to shelter and feed yourself in order to follow your passion and chase after that lost opportunity. It means that you view the situation that you are currently in as a stepping stone towards your real dream; you realize that you’re not trapped where you are because it is simply a mean to an end. It means you give yourself permission to dream your dream and start working toward your goal with every spare minute you can find. It means you look for every opportunity and every avenue that will bring you even the tiniest step closer. It means you are open to that dream coming to you in ways you could never have even imagined, and you have faith that it will happen for you. Life is a “choose your own adventure scenario” Click to Tweet! Phew! That was a marathon post, but wasn’t it fun? If you have any questions you’d like me to answer on the blog, please contact me and let me know! Brilliant, well-written and crystal clear post! Thank you so much! It clarified some things for me regarding these topics! And I love your quotes! I will post them and add this to my favorites as a reference to turn to many times when I have gnawing thoughts! I will now go in to read the post on alignment! Another wonderful post! Thank you! I decided very young to try to live my life without regrets, and have more or less succeeded. Once a decision is made, that’s it. The old path disappears, and the new path opens. I think if you decide later that you want something from before enough to go for it now, then the earlier time wasn’t quite right. As you say, it’s never too late. And in fact, the time you do go for it will turn out to be perfect timing! I also love the idea that the timing is always right. Whenever it is that you choose to follow a path, it is the perfect time… for you. The perfect time to experience and to learn and to do the things you most want to. 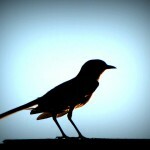 That thought really resonates well me; thanks for sharing it here! Yes, MC! I remember being told this by a guru, actually! The thing to happen is when you say it. That is the trigger and the perfect timing. It is therefore up to us, really, and nothing or nobody else. I enjoyed your post tonight very much. It really hit me between the eyes with a lot of things I am dealing with right now. Your example of the dancer was terrific. It is true: if we aren’t in some way, in some form, doing what our spirits long to do, we won’t enjoy true fulfillment. I love to write and play music, and often in my life I have put these things off because I thought that if they weren’t going to go anywhere, why do them? Very self-defeating thinking. Well, not doing them was a downright guarantee of that, wasn’t it? I began enjoying the process of both just for the process of it and the pleasure I get in losing myself in these creative endeavors. When I realized that, the rest didn’t matter so much. And, if along the way, something should become of it, that’s great too. But nothing will stifle me from it again, least of all, myself. 1) If you really want to make a living doing that, then you can and will, as long as you believe you can. But there are many ways of doing that, without having to be a multi-platinum recording artist or being on Broadway. There are so many different ways of making money in creative industries, but we are so focused on the most obvious and flashy ones that we can’t see the other avenues. 2)Sometimes, especially when we do have a talent in such areas, we get caught up in other people’s enthusiasm that we should be “a singer” or “a dancer” and that it should be our be-all and end-all goal in life. But not everyone who is a fantastic musician wants to be a well know singer, for instance. We might daydream about it, but we don’t really want to live that kind of lifestyle. And if everyone else thinks we should be going for it, but we ourselves aren’t all that sure about it, it can lead to feelings of failure or not living up to other people’s expectations. Which then leads to resentment, bitterness and maybe even abandoning that which once made us so happy. When all we ever really wanted to do was sing. Just for the sheer joy of it. First of all, this is a fantastic post even though you say it’s long. Do I win a cookie for sticking it out? Kidding I loved every word of it. I’m stuck on the fence with this universe thing. I bought into that book “The Secret” and believed it all. But I think we all chose our paths. Nathalie, life certainly is an adventure, but only if you know this and make it out to be. I know plenty of people who do not see it that way, have no adventures and simply do not grow, but that is their thing and decision, I do not judge. My problem is that they judge those of us who did prefer the adventure and grew a lot from it. This dichotomy does exist and I adds to my regret at times, pulling on my heart strings. at least I do not carry an anvil in my heart the way I used to though, so I have come a long way, thank goodness. And of course I regret the thing I did not do, because I am constantly living with the question, what if? This can be maddening and I wish our brains did not have the capability, really, because it can drive you nuts. Even though there is evidence that it may have been boring, I may have dodged many a bullet in doing it. But, I also may have avoided a lot of the grief I did experience, you know? I guess in LOA terms I expanded and the problem was not meeting the expansion. Once I did, it made a difference in how I appeared to others as well, i.e., it showed. What I am trying to say is that, there is always the question of what if? Lately I steer my thinking and feeling in all the things I did do and experienced, which was a whole lot richer, but I have nothing to show for it materially, like others do, but of course we are on different paths, so I cannot look at it that way either. So, be glad and appreciative for everything and be glad where you are and where you are heading. Life is supposed to be an adventure because you’re building it as you go along. But you only get to choose your own adventure — not someone else’s. It is hard to see someone you care about struggling when you know another way that might make things easier on them, but you can’t force them to follow a path you think they should. They are exactly where they need be, just as you are exactly where you need to be. Whatever they are learning in their current situation will help them to grow into who they are becoming. Understanding that — and accepting it — can be really hard sometimes. But it does get easier. If it helps, consider that maybe what they are going through right now will be the thing that makes them ready to understand the things you wish they would. Big hugs, and have a great week!